What foods come to your mind when you think of Valentine’s Day? Probably chocolate, right? 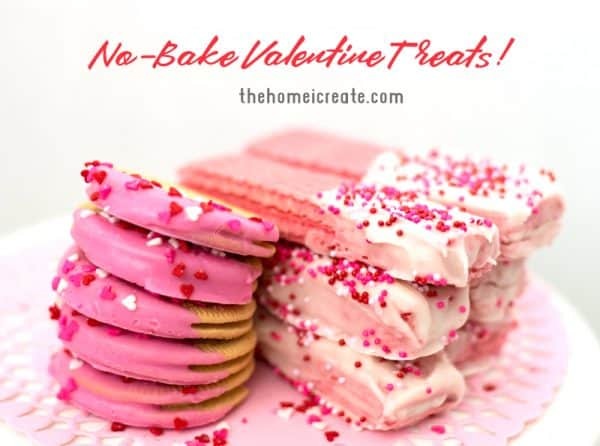 But after reading this list of Valentine cookie ideas, chocolate MIGHT just take a back seat to a sweet and delicious Valentine’s Day cookie! A few of them do include some form of chocolate. Most are sweeter and more delicate than the cookies we make in the fall or Christmas. 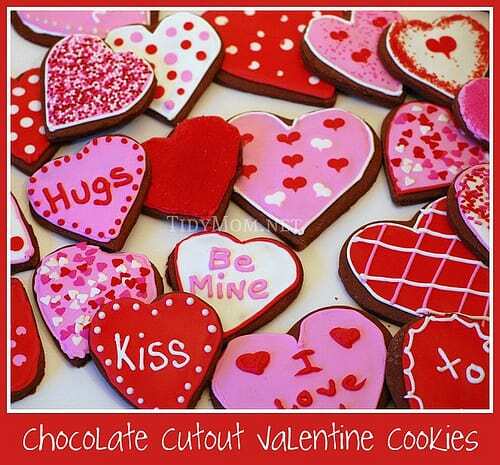 Take a look and then scroll down and leave a comment to let me know if you make any special Valentine’s Day cookies. Sign up for my Family Recipes newsletter & have all my recipes sent straight to your inbox! Can you believe these are made from cake mix? You can’t get much easier than that! A Valentine classic. 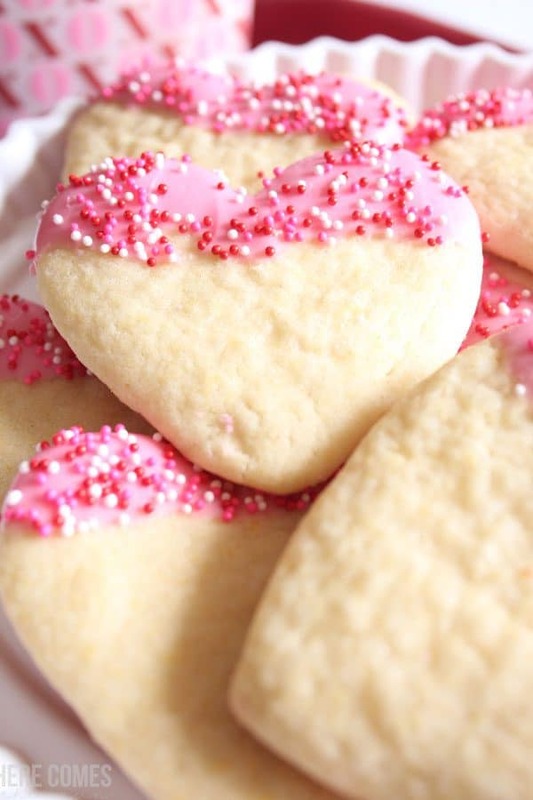 Basic sugar cookie recipe. Just add icing and sprinkles. Let’s start with something basic that just about everyone loves… chocolate chip cookies. These were made with pink and red M&Ms! Aren’t these the cutest tiny little cookies ever? These cookies have a surprise inside! Talk about EASY! 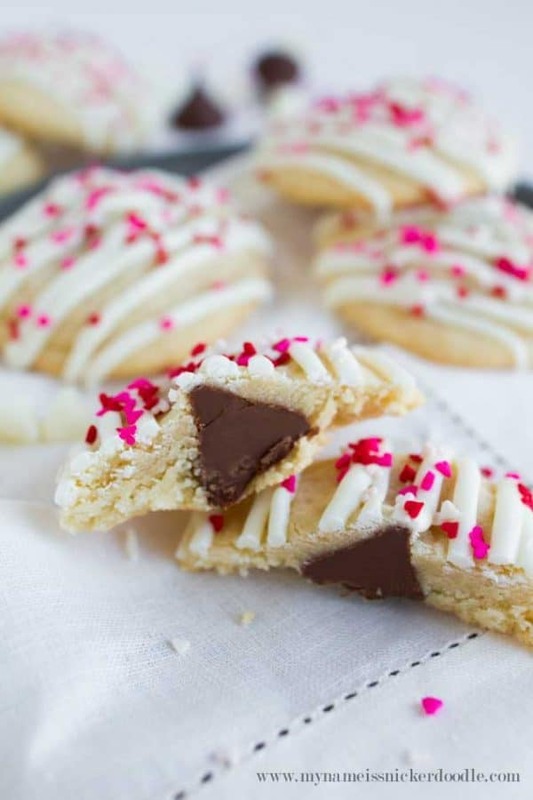 Turn strawberry sugar wafers or golden Oreo thins into fancy desserts! Another no-bake cookie. Not quite as quick as the last but still easy and delicious! You don’t need to ice the whole cookie. Sometimes just a dip on the side is more elegant. 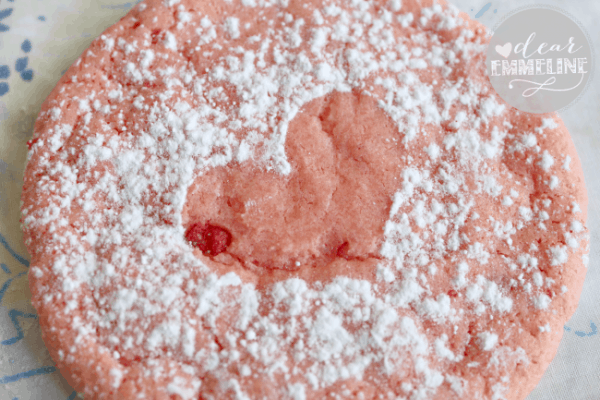 And here’s the first Valentine’s Day cookie with a color other than pink or red! Aren’t these the cutest? This is a fun alternative to a thick icing. 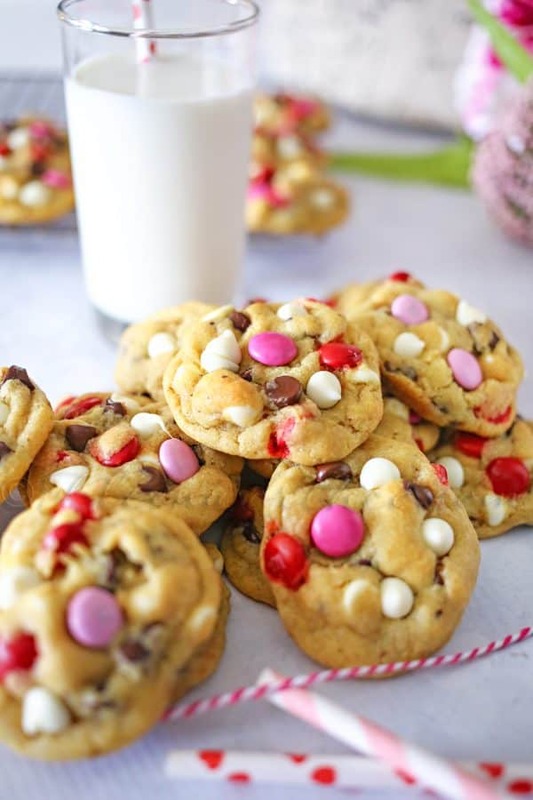 Chocolate and Valentine’s Day go hand in hand… so let’s make some chocolate cookies! I can’t wait to hear which recipe is your favorite. Leave a comment and let me know! 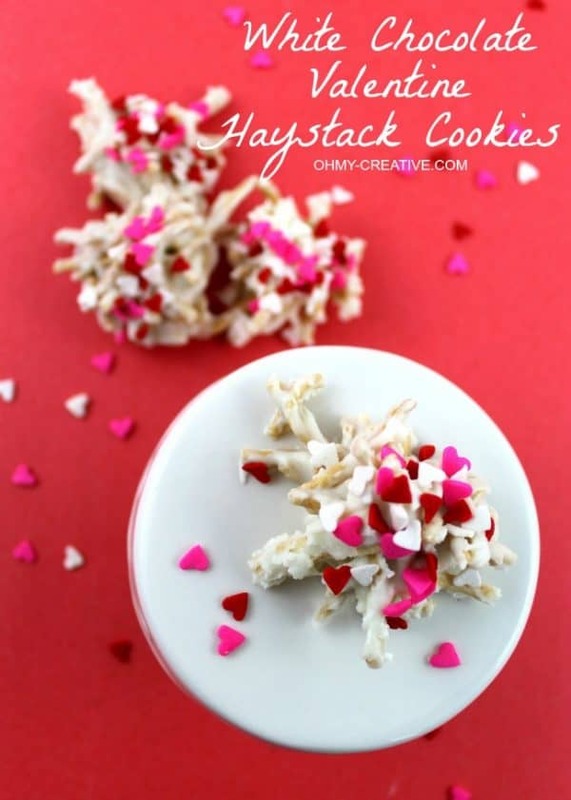 I love all these Valentine Cookie Ideas! Pinning for later! Beautiful cookies! Thanks for sharing at the What’s for Dinner party. Thanks so much for including my M&M cookies. You’re welcome… they look delicious!!! 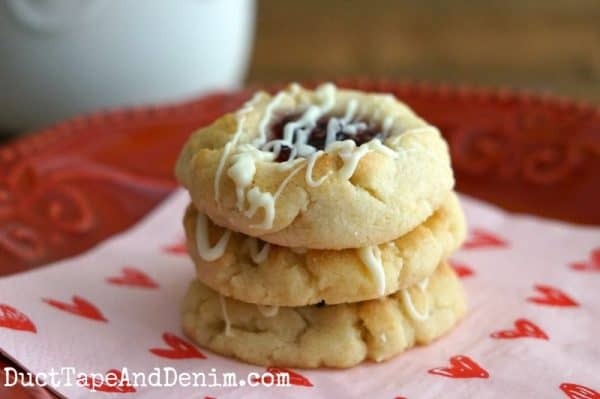 We used to always make thumbprint cookies- I need to bring this back. Great ideas in this post- thanks for linking up with the Blended Blog. So many delicious and pretty cookies! 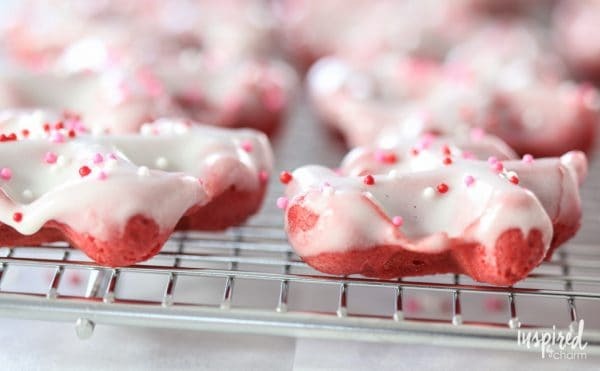 These are all great ideas for Valentines cookies. Thanks for sharing. Nothing says “I love you” like a good cookie. 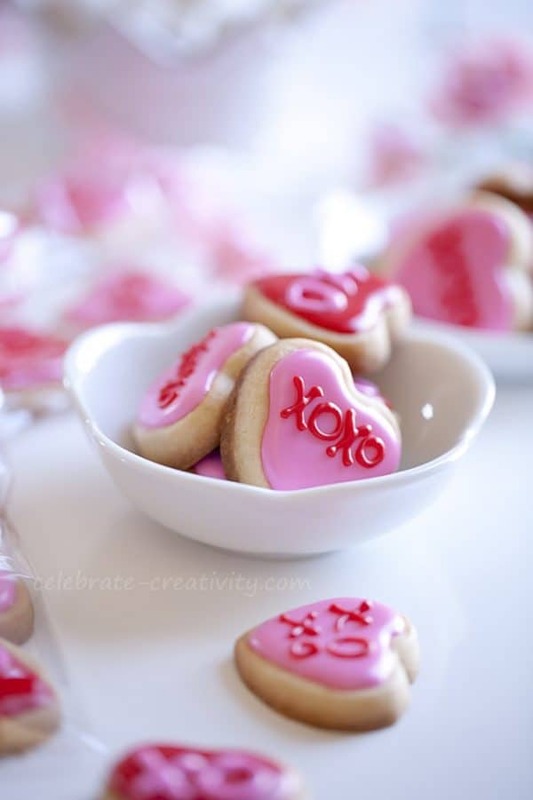 Great compilation of Valentine themed cookies. Thanks for sharing at Fiesta Friday! 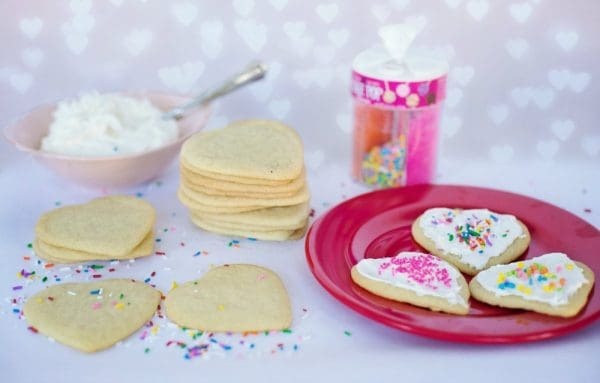 This is a great collection of special Valentine Cookie Recipes! Thanks so much for sharing your post with us at Full Plate Thursday. Have a great week and come back soon! 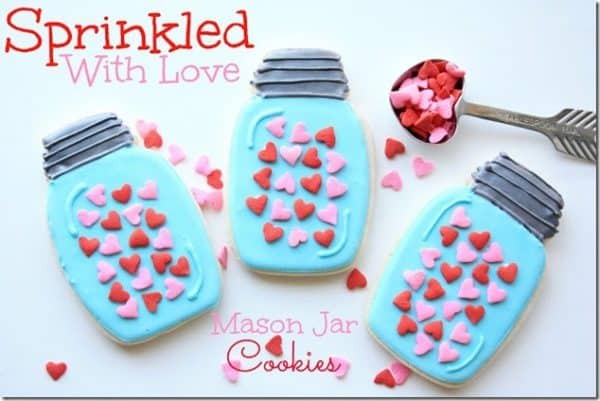 You certainly have provided a bunch of great cookie recipes for Valentine’s Day or any day for that matter. Thanks for sharing with Fiesta Friday. So many cookie ideas, thank you for sharing!!! Oh now I am hungry. These look so delicious! Thanks for sharing at Home Sweet Home! Sugar cookies are always at the top of my list. The raspberry thumbprints would be right up there as well. Thanks for sharing with SYC.